The Supreme Court moved the arc towards justice and fair access to health care a bit closer with its decision in King v. Burwell (6/25/2015). The 6-3 decision, written by Chief Justice Roberts, sends a clear message that the Affordable Care Act is the law of the land. As Justice Roberts stated, the intent of the Affordable Care Act is to build up, not diminish health insurance market places. Further, basic legal process calls for statutory provisions to be read to meet the overall intent of the law. This is not legal over-reach; it’s a standard taught in first-year law school. In King v. Burwell this long-accepted legal analysis results in the Court’s conclusion that subsidies to help people pay for health insurance are available in all Affordable Care Act markets, whether they are established by the individual state or federal government. The Supreme Court followed basic legal analysis to support a basic human right – access to health care. Now it’s our turn to make it happen. Millions of people will be left with limited or no access to health care if the Affordable Care Act (ACA) is overturned. This will include people of all ages − older and disabled people with Medicare, middle class families, children with asthma and other pre-existing conditions, and adults with on-going medical needs. At this time, when family incomes are stretched to the max, many people are unemployed, and fewer jobs provide health insurance, individuals and families all over the country will lose if the Court strikes down Health Care Reform. 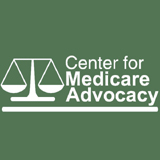 Older and disabled people with Medicare will lose access to preventive health care, help paying for life-saving medications, and an annual health visit. Taxpayers will resume overpayments to private Medicare plans. Children with preexisting conditions will again be subject to discrimination by private health insurance companies. People who would have gained access to coverage under ACA, beginning in 2014, will lose out. This includes adults with pre-existing conditions, those with high out-of-pocket costs, and families with moderate incomes. Young adults who, thanks to ACA, have health coverage under their parents’ plans will also be in jeopardy. In short, if the Court strikes down the law we all lose. The number of people with inadequate or no health insurance will rise – but those same people will still get sick and injured, and require care. And we will all pay, in emergency rooms, unpaid hospital bills, higher premiums – or simply by catching their illnesses. Let’s hope the Supreme Court recognizes the national interest in making basic health insurance available to all. If it does, we will all feel better. 1. Did the Court strike down (or uphold) the entire law? What will happen to the Medicare Part D Donut Hole coverage, preventive benefit coverage improvements, Part D income-based premiums? Will young adults receiving coverage up to age 26 on their parents’ plans immediately lose their coverage? Will they be able to get coverage elsewhere? Will children with pre-existing conditions lose their coverage? If so, how will they get coverage in the future? What will happen in states that have started to implement the law, for example by setting up “exchanges”? Will some states try to proceed without ACA? What will happen to those who would have been covered by the Medicaid enhancements under the law? 3. Did the Court decide some components are “severable,” (able to proceed although other components of the law are invalid)? If so, what was struck down? 4. If the individual mandate is struck down (the requirement that people maintain minimum coverage or pay into the system), what does that mean for health care reform? Can the law still work without this requirement? Can the law be amended to make it work, without a minimum coverage mandate? What demographic groups will be most harmed? What will be the effect on costs to the federal government, states, and individuals? Unless the entire law is upheld, people in need of health care will lose. Be ready to recognize what will be lost – and by whom.